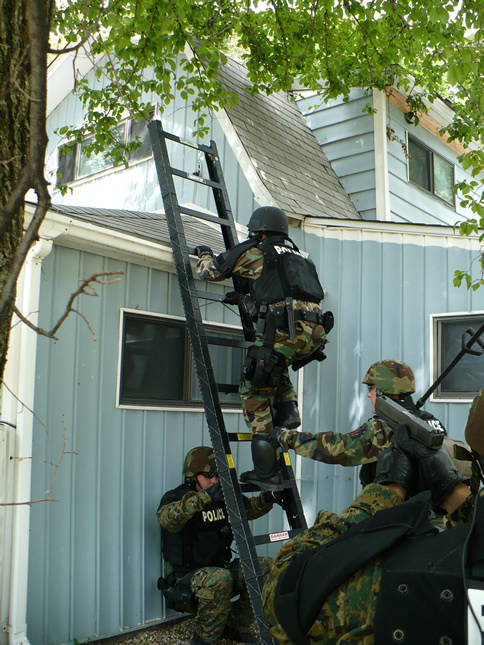 The Special Incident Response Team (SIRT) began in the fall of 1987 because of the life threatening situations that can arise in the law enforcement field. The team undergoes extensive training in order to be “a group of one” when dealing with high risk offenders or situations. The team needs to know how the next member will react in achieving the ultimate goal of resolving a critical incident without anyone getting hurt. SIRT is currently comprised of approximately twelve members from the APD and MCSO, who respond to high risk incidents such as people threatening suicide or barricaded suspects. 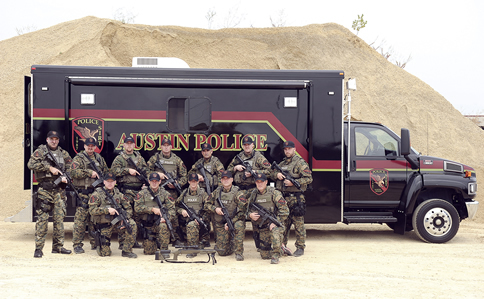 Nine SIRT members are from the Austin Police Department, with three members from the Mower County Sheriff’s Office. The team also has six hostage negotiators, with four of the negotiators from the police department and two from the Sheriff’s Office.